In 2016, a total of 40 million commercial passenger flights landed safely at their destination. Ten, tragically ended in fatal accidents. However, of course, this 0.000025% were the ones journalists wrote about. 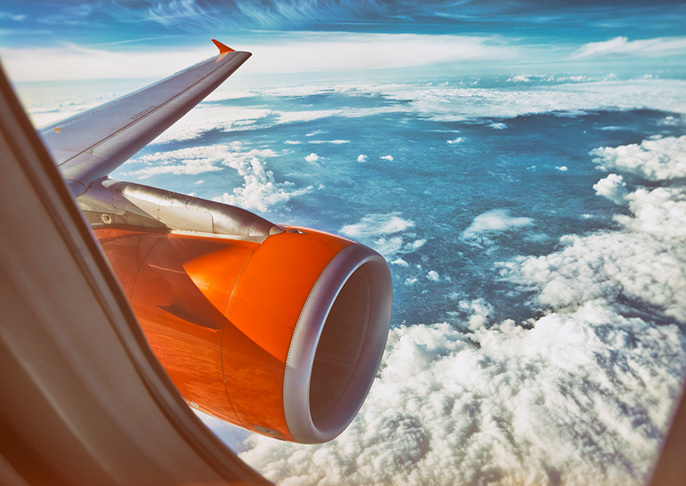 The following year, according to the Aviation Safety Network – an organisation that tracks airline crashes – no deaths of commercial jet passengers occurred. This made 2017 the safest year on record for commercial air travel. But I bet you can’t remember this being a news headline! Sadly, safe flights are not newsworthy. This begs the question, why do we tend to focus on the negative? Why does the media tend to ignore the positive and over-amplify the negative? The answer lies in our basic instincts. For obvious evolutionary reasons, fears are hardwired deep into our brains as humans. Fear of danger, physical harm, captivity, and poison once helped our ancestors survive. In modern times, perception of these dangers still triggers our fear instinct. Indeed, while the world has changed significantly since the first Homo-Sapiens walked this earth some 150,000 years ago, research suggests that our brains haven’t changed much. In 1997 anthropologists discovered the 154,000-year-old skull of a Homo-Sapien in Ethiopia. They found that the brains inside the skull would have been no smaller than the brains of today’s average person. So, even though the world is a lot safer today, our fear of danger is the same as it’s always been. And thanks to technology and the 24-hour news cycle, we’re constantly bombarded with much more information than we can consume. Our brains disregard much of this information and instead focuses on only the more dramatic news. If a piece of information contains danger, our 150,000-year-old Homo-Sapien brain alerts us. We just can’t help it. Journalists understand this and exploit it to their hearts’ content. So, what has this got to do with our personal finances? Well, the financial media is no different to mainstream media and it is primed to exploit our basic instincts and fears. It is littered with stories of impending doom every time the stock markets wobble a bit. We read about billions being wiped off the stock market. Rarely do we hear that billions have been added onto the stock market. These news headlines create a false perception that we are in fact more likely to lose money investing in stock markets than we are to gain. This is not true for long term investors. And how do we stop the financial media from exploiting our fear instincts? First, it’s important to recognise that financial news is designed for clicks and eyeballs, not pounds and pennies. Investing based on headlines is a sure way to part someone from their hard-earned money.